legacycentral bbs • View topic - new to intercooling. Post subject: new to intercooling. 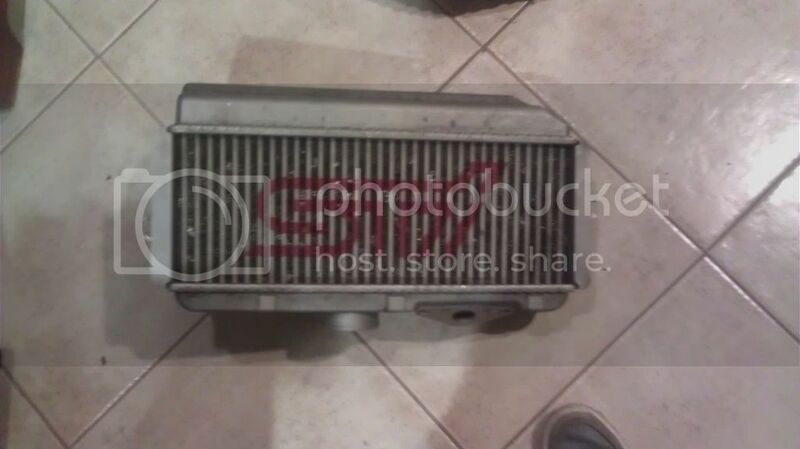 Alright guys I got a free Sti intercooler yesterday. I was all excited at life then I found out that 02-05 intercoolers are a pain to put in. I think i got an 04. I don't know. If you guys can tell me what year cooler I got would help A lot. If its works what else should I get to TMIC my wagon? Post subject: Re: new to intercooling. Hi ugaucin, this is a topic that comes up a lot. In a nutshell, it's the 06-07 WRX intercoolers that fit the best. There are numerous threads detailing exactly what you need, such as silicone y-pipes, pipes and etc. Do a search for "TMIC Install" for more info, and possibly some pics. The intercooler you have is a good one but you have to bash in your firewall to fit the 02-05 WRX ones, and this one is even larger. I don't know if it's possible, or worthwhile, when the 06-07 fits in there like a glove. So ill just sell this one and get an 06-07 one then. If its easier. Make sure you get the normal 06-07 TMIC and not another sTI unit. All USDM STI intercooleres are massive like that regardless of year.